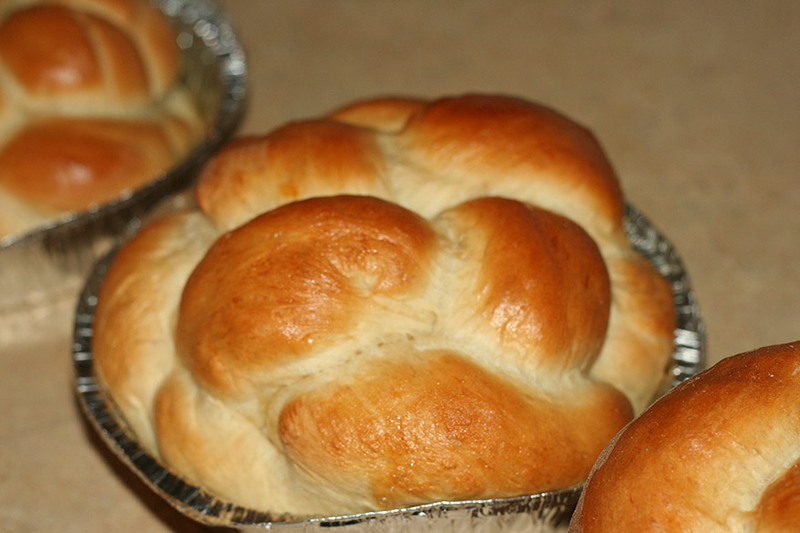 Once you’ve shaped your challah, cover your challahs with plastic wrap or with towels, and place in a warm spot. Allow the challah to rise for another 40 minutes. When you tap on yoiur challah, it should sound hollow. That’s a sign of doneness.